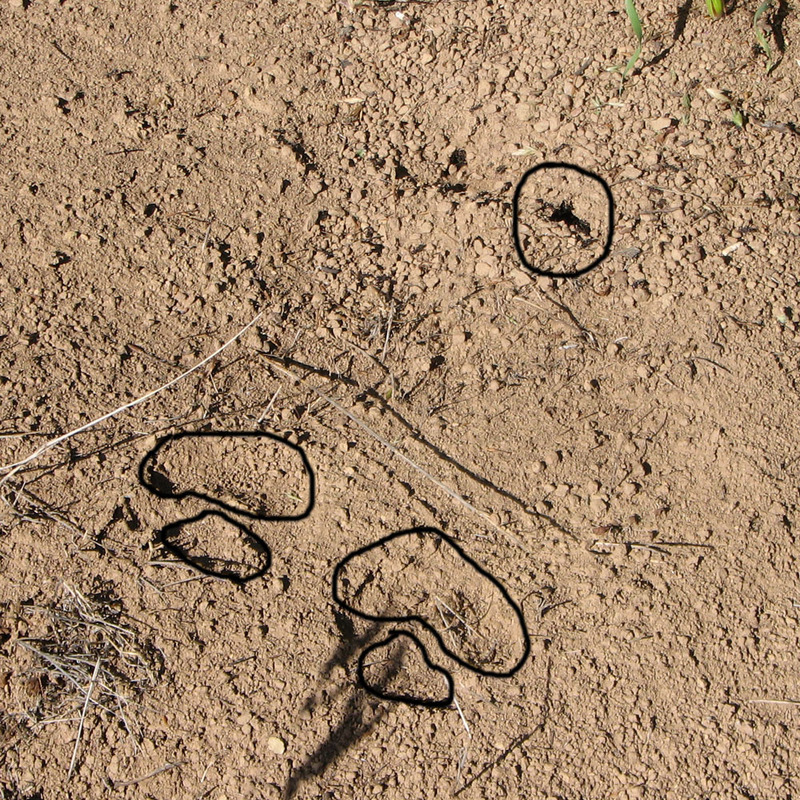 The pair of coyote tracks in the above photo was pointed out to me by my brother, Rob, during one of our reptile surveys. He had already figured out what was going on, before telling me about them. The tracks were the front feet of a coyote. They were deeply groved into the soft dirt, an indication that the dog had stood in one place, moving his head and forcing the tracks into the ground deeper than usual. The size of the tracks was just right for a coyote, but I wouldn’t rule out a gray fox. Two feet in front of the tracks was a bush that completely blocked the view in his front vision. He wouldn’t have been looking ahead of him as he could only see about one foot. Yet he had stood in this position for more than a brief moment. 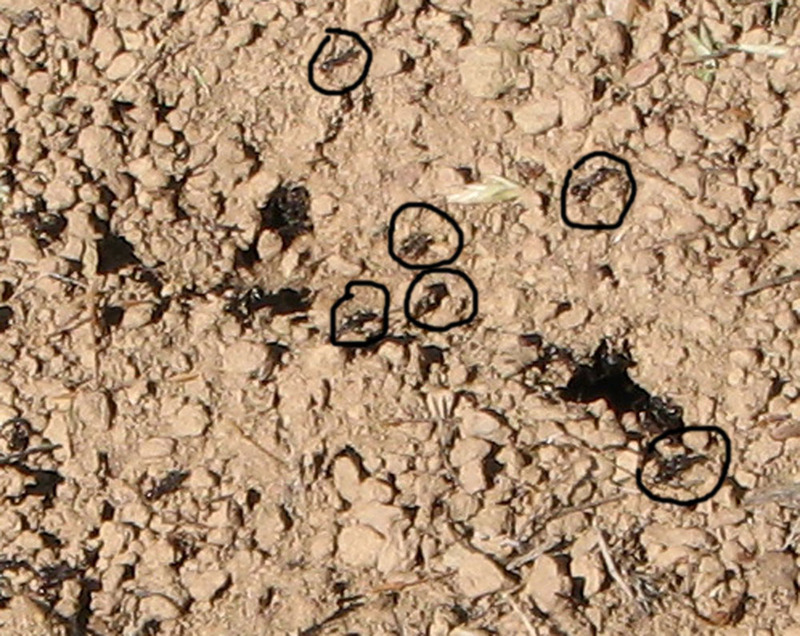 About a foot in front of the track, ants were traveling in and out of an ant hole. 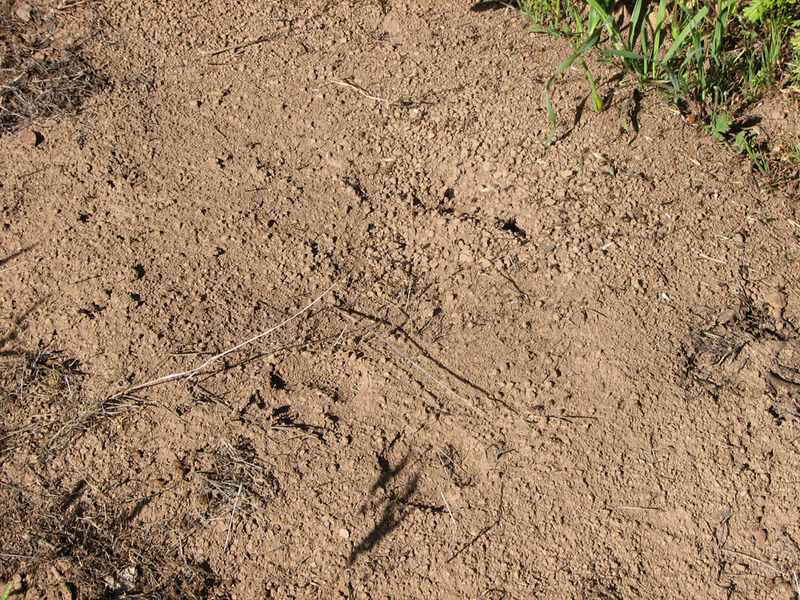 The coyote had stopped at this spot to feast on a few ants before moving on. With a little assistance, the picture is made more clear. I wonder how many ants a coyote can eat.